Zucchini is the vegetable that can be eaten for miles and one way, alone, accompanied, in the pan, steamed, baked (I continue or you know what I’m talking about?). 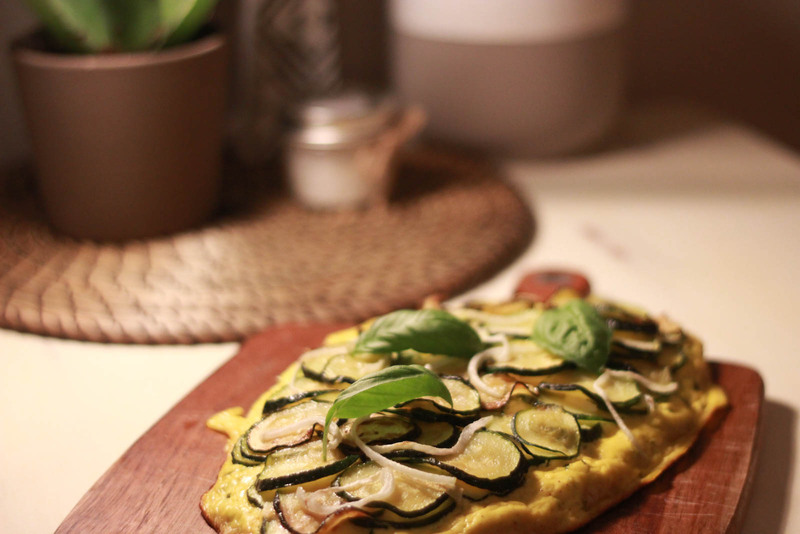 I had ricotta that I had left of my last spinach ricotta cannelloni and apart from using it for this recipe I’m not used to integrate it to my kitchen so I did some search, mixed 2-3 info and here I am with my first ricotta zucchini pie which was delicious! You are hungry ? It’s good! Super easy guys! As simple as known, or known as simple Tupperware Express Pie! It must now be 2-3 years since I buy more ready-made dough. We do not find in Canda but they are square so finally it suits me to do it myself and it’s super simple! Put the ingredients in order in a salad bowl that can be closed. Close and shake vigorously horizontally then vertically (5-6 times each). 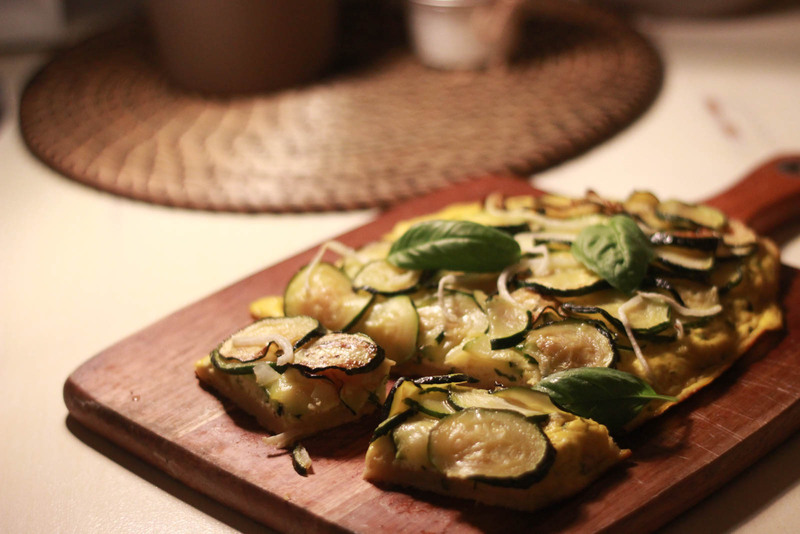 Cut the zucchini into a thin slice and cook them until they become translucent. Mix eggs, ricotta, chopped basil, season with salt, pepper and nutmeg. Spread the filling on the dough. Arrange the zucchini slices on the filling. Add some pieces of onion for decoration. Put 30 minutes in the oven. I would like to test it with a puff pastry I think the taste will be even better but I did not have it at hand. It’s harder to find here than in France. Tell me what you thought about it.